Discussion in 'Showroom' started by Lone Devil, Apr 1, 2018. 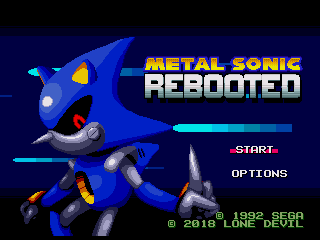 Metal Sonic Rebooted is a complete heavy modification of Sonic the Hedgehog 2 with extensive amount of new art, layouts, mechanics, music, and features that in total creates a different experience. 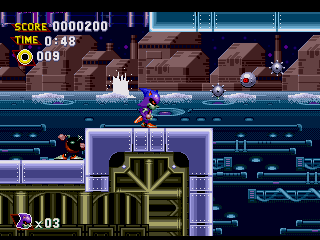 Dr'Robotnik has built an advanced army of badniks to search for the Chaos Emeralds, and it's up to Metal Sonic to find the emeralds before them by destroying everything in his way to show Robotnik he shouldn't be replaced. Overclocked Mode - press C after jumping. Requires 200 Rings to overheat Metal Sonic for extended invincibility and speed that quickly drains your Rings to death. Can also turn Super with All 7 Chaos Emeralds and 50 Rings. NOTE: You can roll (A/B/C ) in midair while on a walking state. 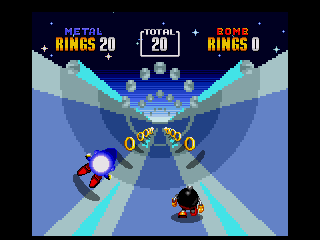 By taking advantage of the amount of rings you have, Rings carries over each act or checkpoint. 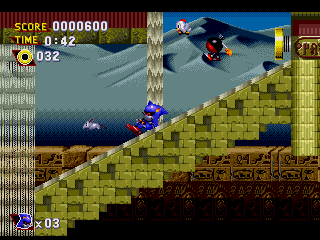 You start off with 3 Continues in Normal difficulty, but zero in Hard. Monitors can be randomized as a toggleable option. 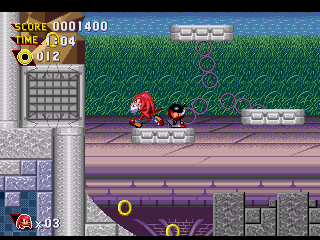 Knuckles is playable as an April Fools joke by pressing , , , , A at the Title Screen. Playing in NTSC-J region will translate the title screen logo to Japanese. 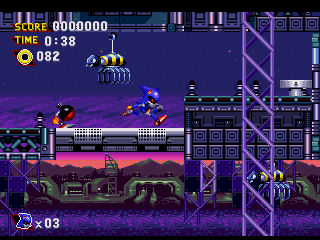 Sonic 2 Level Select, and Debug Mode cheats will still function but Continues Cheat will grant you 999 Rings + Bomb. Diving into Water will cancel Overclocked Mode. Metal Sonic can't drown underwater but Knuckles can. Slowducking from Sonic 3 & Knuckles has been adapted. 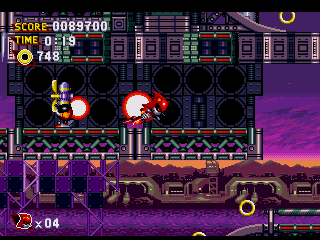 Metal Sonic Rebooted is a spiritual successor to Metal Sonic Hyperdrive. Special Stages are now a little easier. Getting Hit will only lose 15 rings. Overdrive Attack (Not_Peel-out) costs 5 rings. Neo Utopia Boss is replaced with CPZ's boss, EHZ boss is at the 2nd act of Iron Abyss. Vertical Aerial Dash will not freeze horizontal momentum (better for longjumps), and Diagonal Aerial Dash is now a Super-only move. 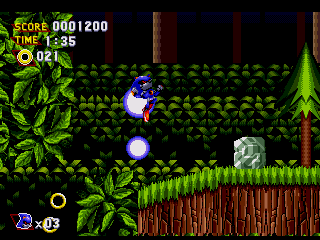 Sonic 2 Continues Cheat from options (1,1,2,4) will grant 999 Rings + Bomb at the start. Minor (or major?) level design improvements for every act. maple_t, Calvin, Big the Fat and 3 others like this.